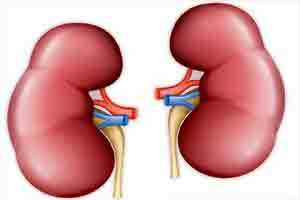 Washington : Higher blood levels of a protein called klotho may help preserve kidney function, according to a study appearing in an upcoming issue of the Journal of the American Society of Nephrology (JASN). Although additional studies are needed, the findings point to a potential target for preventing and treating kidney disease. Soluble klotho is a protein circulating in the blood that is thought to have anti-aging properties. Although the exact mechanism of action of soluble klotho remains to be identified, the protein has been shown to influence multiple cellular and endocrine pathways. The kidney has the highest levels of klotho expression and is likely the major source of soluble klotho. Not surprisingly, therefore, levels of klotho tend to be low in patients with kidney disease. To assess how klotho levels might affect kidney function, David Drew, MD, MS (Tufts Medical Center) and his colleagues examined information from the Health Aging and Body Composition study, which included a diverse group of elderly well-functioning adults with measures of soluble serum klotho and repeated measures of kidney function over 10 years of follow up. In the researchers’ analysis of 2496 study participants, each twofold higher level of klotho was linked with a15-20% lower likelihood of experiencing kidney function decline during follow-up, after adjusting for various factors such as demographics, comorbidities, and kidney disease risk factors.